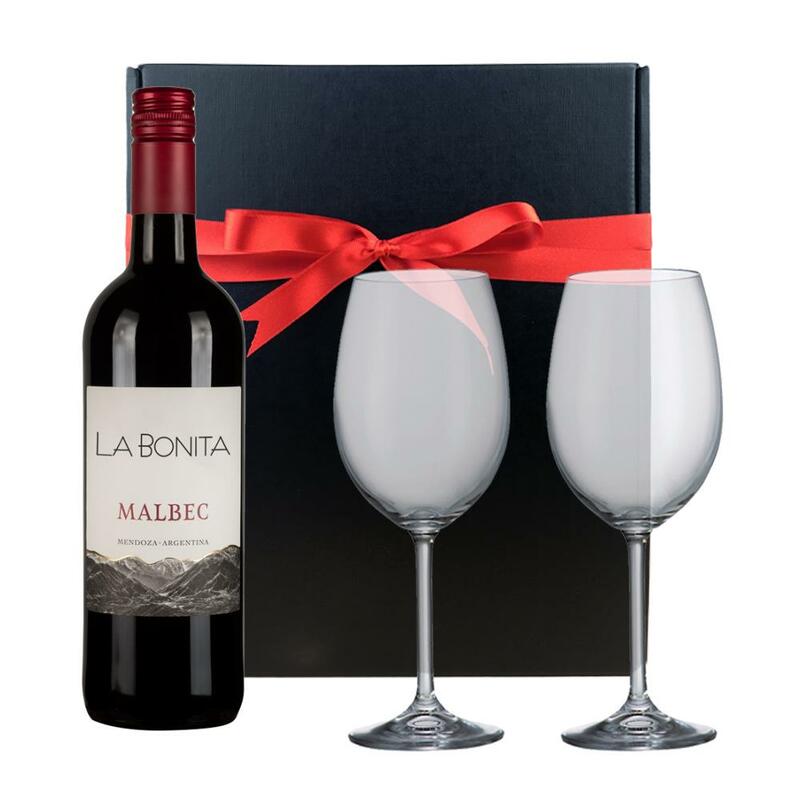 This gift includes a bottle of La Bonita Malbec and 2 Bohemia Wine Glasses (450ml) all presented in a black gift box, all ready for opening, enjoying and relaxing wherever you may be. La Bonita Malbec Mendoza Argentina, Medium bodied and fruity, Intense violet and red colour. Aromas of red fruits with delicate touches of wood. Soft on the palate, balanced with notes of plums and cherries. This product is hand packed onsite by Bottled and Boxed, and is not affiliated with any other brand. Bottled and Boxed is responsible for this product combination/set.